Dozens of climbers remain trapped on the side of the mountain at two camps that sit above where the avalanche fell, climbers said in tweets and posts on social media. Ropes and other equipment left in place to help them descend had been swept away in Saturday’s avalanche. 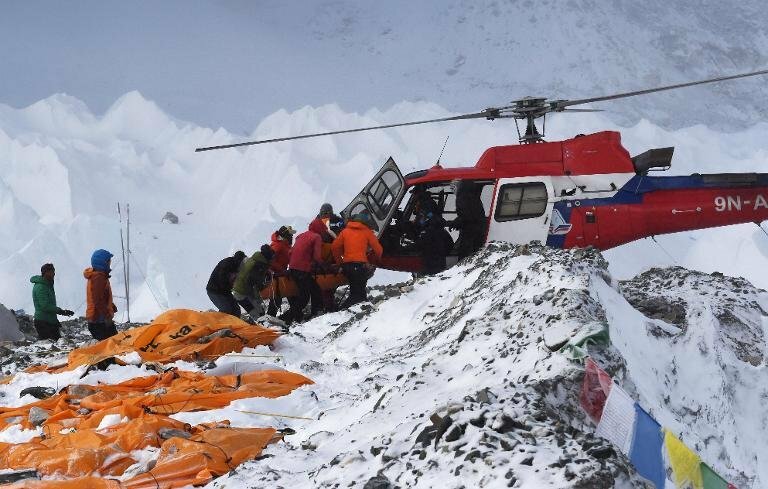 The army said that 19 people had died at the Everest base camp Saturday after an enormous sweep of ice, rocks and snow tumbled toward the camp in an avalanche triggered by Nepal’s deadly earthquake, which has killed more than 2,000 in the country so far. The army had rescued 61 climbers, mostly foreign tourists.